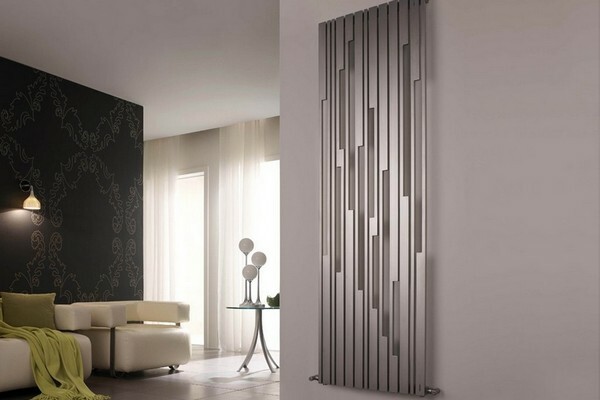 Radiators are integral elements of most contemporary homes. 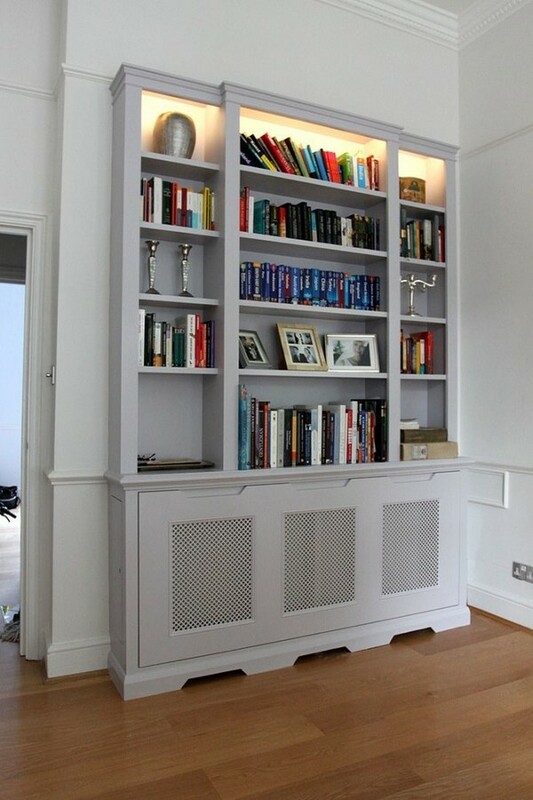 Until recent times they were deemed dull and unattractive parts of interiors that one should tolerate for practical reasons and try to disguise as much as possible. Nowadays designers have worked out many solutions for this problem: beautiful panel screens that are not just aesthetical, but also kid- and pet-safe; decorative radiators that look like stylish pieces of décor per se and no longer have to be installed under windowsills and behind curtains, and finally many designer tricks that help to blend radiators in with the rest of the interior. 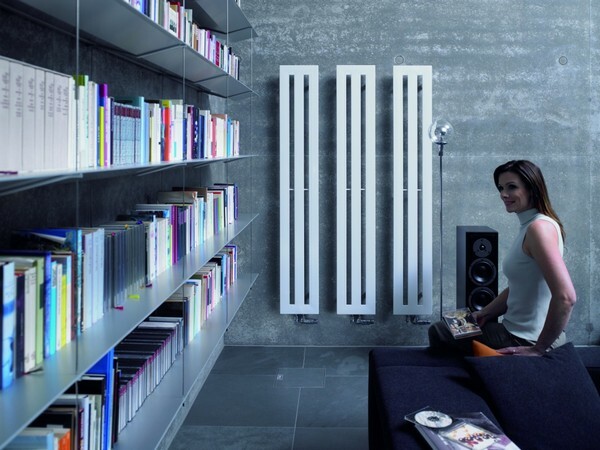 In this post we have collected 10 best examples demonstrating how appealing radiators might be. 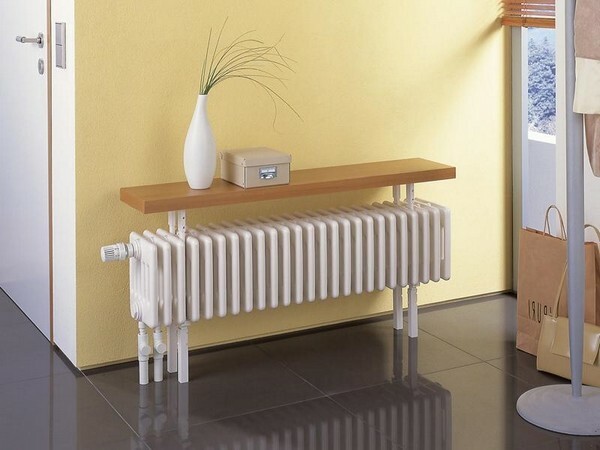 The most attractive thing about this radiator is the way its valves and fastening elements are designed: it seems like it is floating above the floor. And thanks to its considerable dimensions, it does a great job in distributing heat around the room. 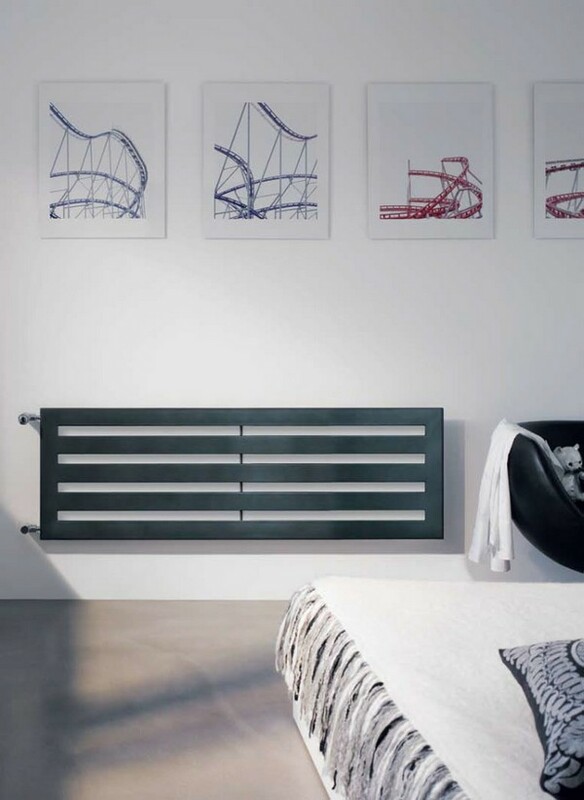 Such a radiator is good both for bathrooms and living areas. Thanks to invisible welded seams such a model will look nice even on a living room wall. Besides, it can blend well both with classically designed furniture and décor in contemporary style. This image offers a creative designer solution based on an absolutely standard radiator model. 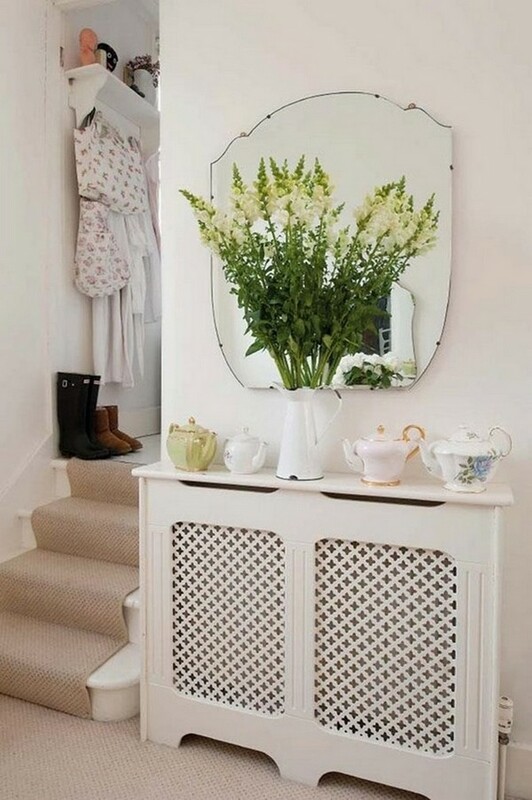 A decorative console table on slim white legs going through the radiator’s pipes demonstrates the way the space above the heat source can be utilized. 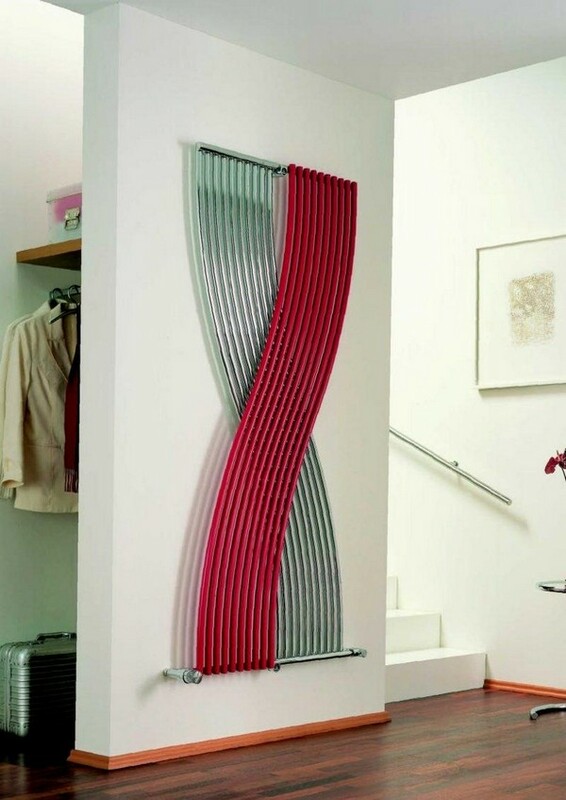 These minimalist radiators would be welcome both in living areas and bathrooms. Such a decorative solution is just what an eclectic-style family room needs. Here we can borrow an idea of using the space between two vertical radiators. 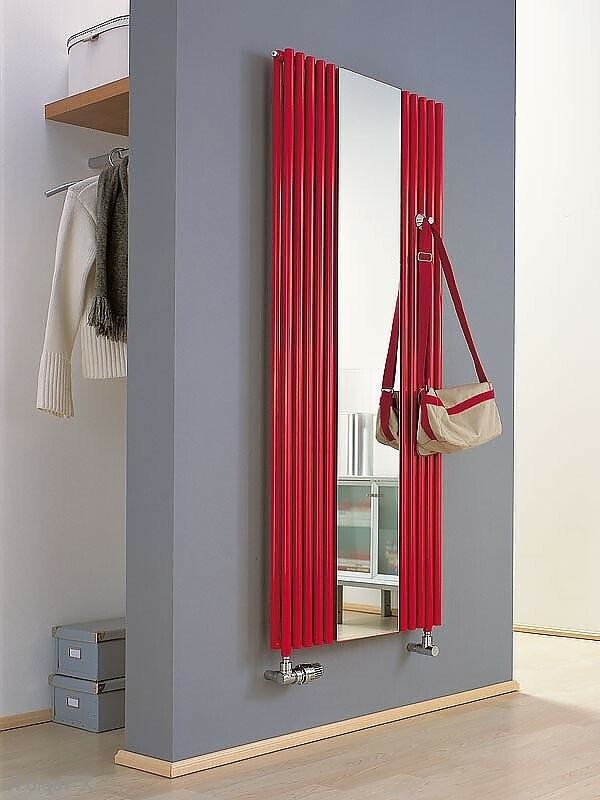 The mirror visually expands the hallway, and a rack fastened between the pipes of the heat source would be a real deal for wet coats in autumn and winter time. 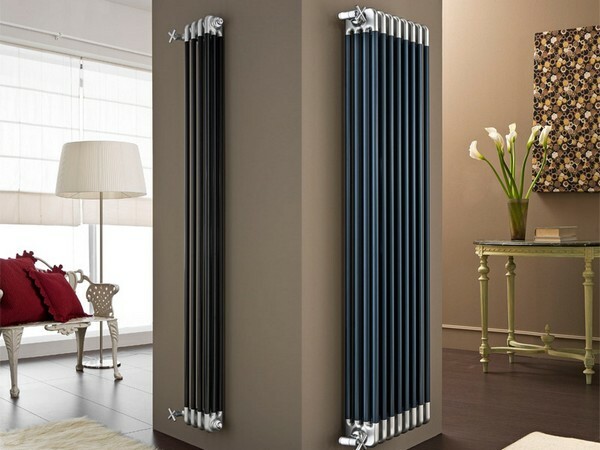 Matte steel futuristic model reminds more of a wall mural, and its light hue makes the radiator almost invisible, giving room for almost any interior style. Also, a radiator can be turned into a piece of furniture: you may decorate it as a chest of drawers, a nightstand or a wardrobe. Just make sure their doors ensure proper air circulation. This model represents a stylish intertwining of crimson red and steel pipes. It would be nice if the rest of the interior would be designed in the same predominant colors. 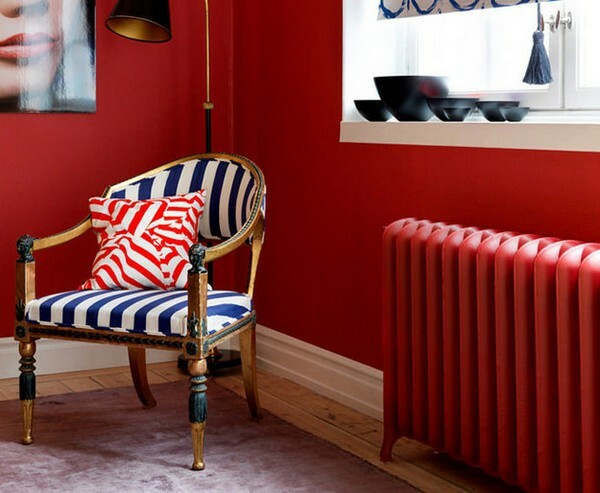 Finally, you may be creative and paint the radiator the color of your walls. But in this case you should make sure the surface of the heat source is perfectly prepared (no scratches, roughness or flecks of old paint) and the paint is heat-resistant (as a rule, manufactures produce special paints for radiators). If such a solution seems too dull, you may do exactly the opposite thing and paint the radiator some contrasting, eye-catchy color, which will make it the centerpiece of the room.